The coalition is in chaos. Every week seems to bring a fresh disaster for Malcolm Turnbull. The dual citizenship debacle has seen Deputy Prime Minister Barnaby Joyce disqualified from parliament. He will have to win a by-election to save his seat. Only the support of independent MP Cathy McGowan stands between Turnbull and losing his majority. And more MPs could still be caught up too—following Liberal Senator Stephen Parry who resigned following the High Court decision. 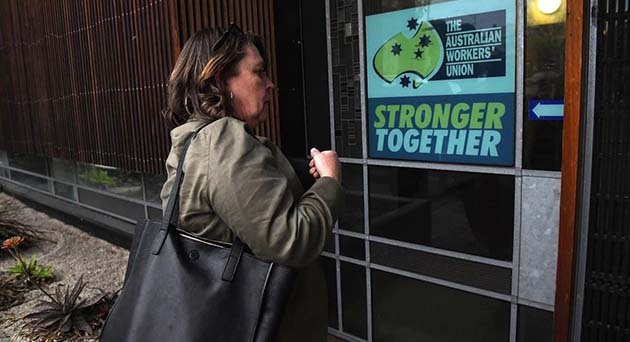 Employment Minister Michaelia Cash is also in deep trouble over the Federal Police raid on the offices of the Australian Workers Union (AWU). TV camera crews were tipped off by Cash’s office, to make sure there was maximum media coverage smearing trade unionists as criminals. Cash has already sacrificed one staff member in an effort to escape responsibility. But it was Cash herself who referred the issue, on a matter a decade old, to the authorities to investigate. It’s hard to believe she wasn’t in the know. The raid has all the hallmarks of a political stunt. At the time the AWU was, of course, run by Labor leader Bill Shorten. The union has already been trawled over by the Liberals’ Trade Union Royal Commission in the hope of politically damaging him. The latest allegations are pretty thin. At stake is simply whether the union followed the procedures in its rules when it donated to Getup! and to Labor election campaigns. The Registered Organisations Commission, which ordered the raid, was only established by the Turnbull government this year. Its job is to force unions to spend time dealing with increased legal obligations and investigations instead of defending workers’ rights. The new body came into force alongside the Australian Building and Construction Commission (ABCC). It enforces the laws that criminalise strike action, imposing huge fines on the construction unions. The new Construction Code bans clauses from agreements like site rates to cover all contractors, limits on ordinary working hours, and greater union access. This is designed to boost construction bosses’ profits. Under the so-called Fair Work Act, the law is stacked against workers and unions. We have some of the toughest restrictions on strike action in the world, with all industrial action illegal outside defined “bargaining periods” and hurdles to taking even legal action. Bosses are allowed to “terminate” agreements, with huge loss of pay and conditions. Workers at Streets are facing pay cuts of 46 per cent. And the Liberals want even more powers to deregister unions, disqualify union officials and stop union mergers through their “Ensuring Integrity Bill”. But there is no such treatment for the top end of town. There were no police raids when massive wage theft was exposed in 7/11 stores across the country. When the Commonwealth Bank gave fraudulent advice to customers, Turnbull refused to hold a Royal Commission. Wages growth is at record lows while corporate profits leapt 47 per cent last financial year. Turnbull has backed the cuts to penalty rates for low-paid workers in retail and hospitality. Yet he wants to cut corporate tax to 25 per cent, at a cost of $65 billion over ten years. Turnbull is lurching one from disaster to another—we need to go the offensive. The ACTU will roll out its “change the rules” campaign next year, timed for the federal election. But this is designed as marginal seats campaign to elect Labor. We need a campaign of protests and strikes to generate real momentum for change—to win the right to strike and reverse casualisation and low pay. In NSW, unions are taking to the streets on 16 November. Construction unions will walk off the job, and the MUA will stage a four-hour stopwork at Port Botany. Union members at UTS are also set to join them by striking on the day as part of enterprise bargaining. Most other unions have refused to mobilise, using the ACTU plans for action next year as an excuse. The Teachers Federation has authorised actions at schools during the day instead. But all union members should do whatever they can to attend. This is the kind of action needed to stop the attacks on workers and prepare to fight an incoming Labor government for serious change.